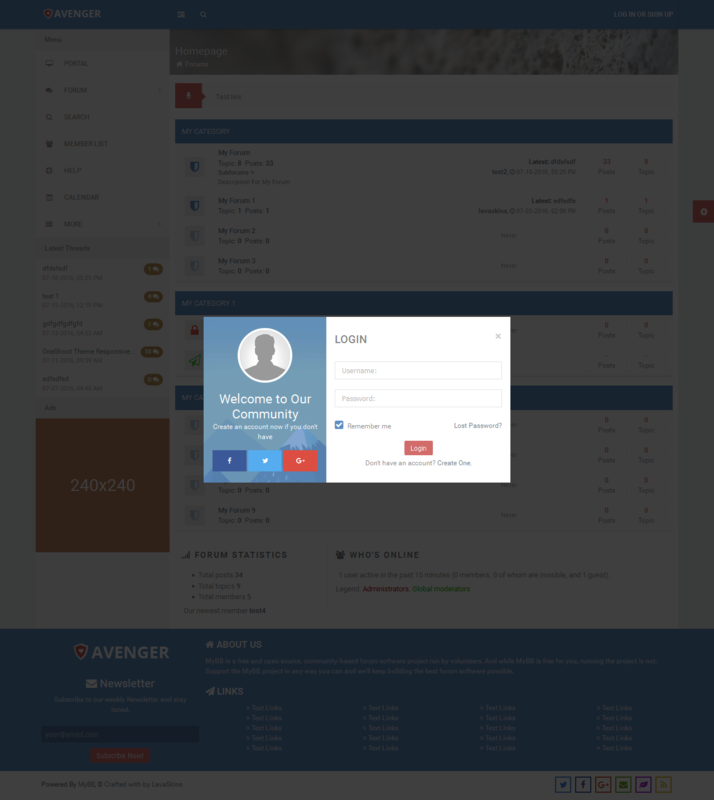 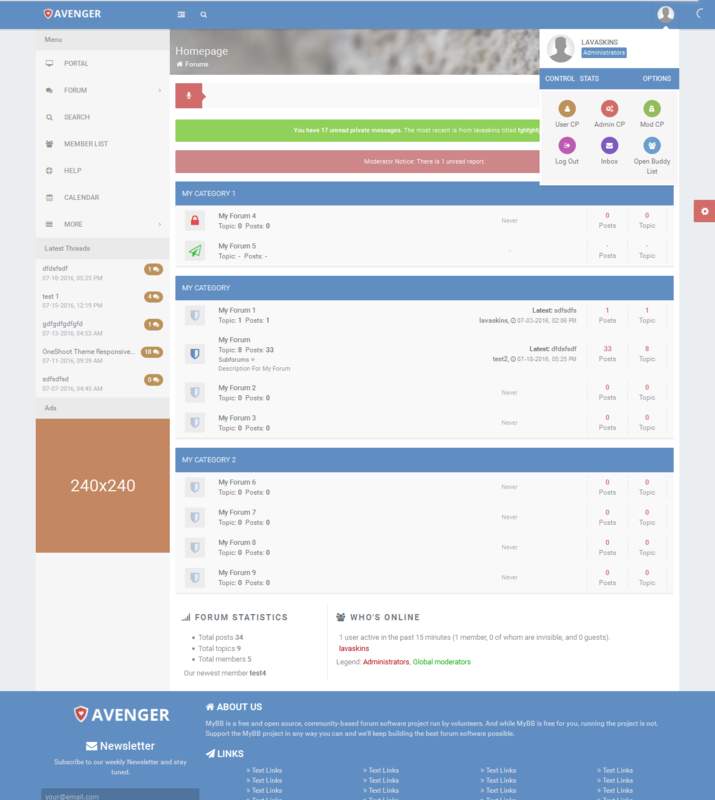 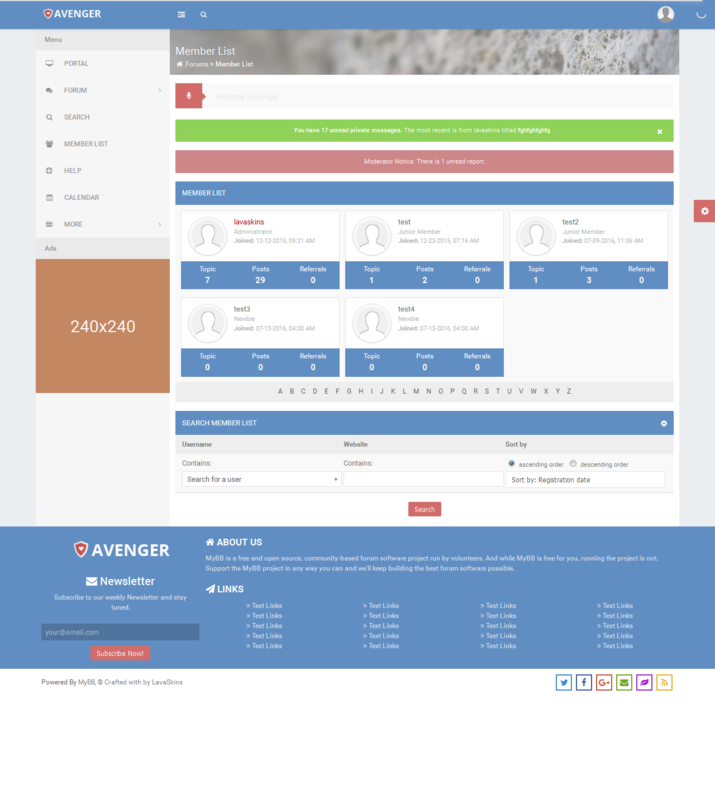 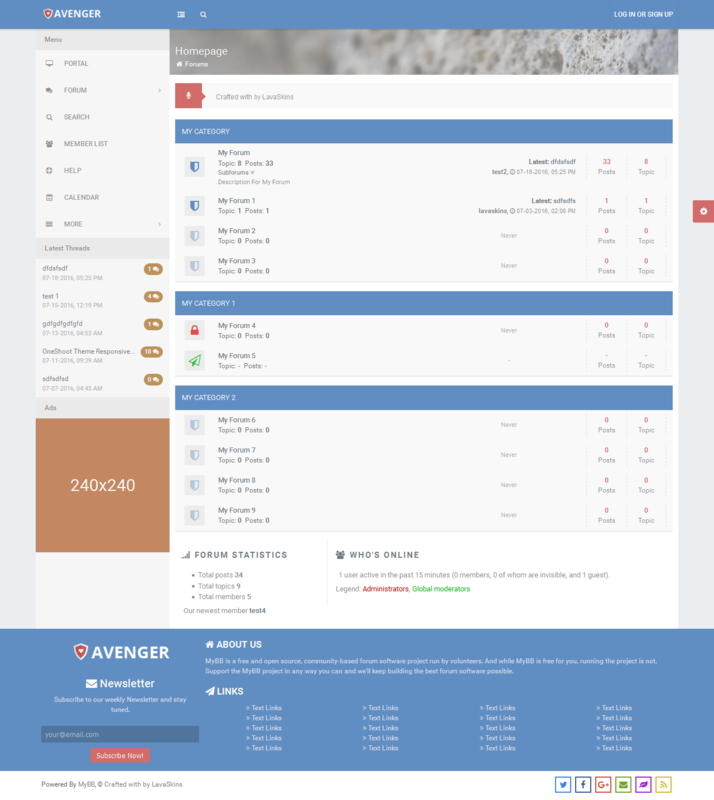 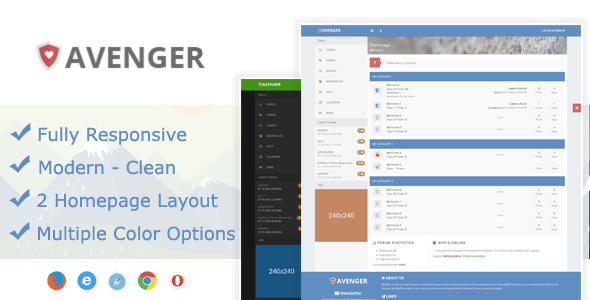 After a month of working with it, today we would like to introduce to you a completely new theme - Avenger. 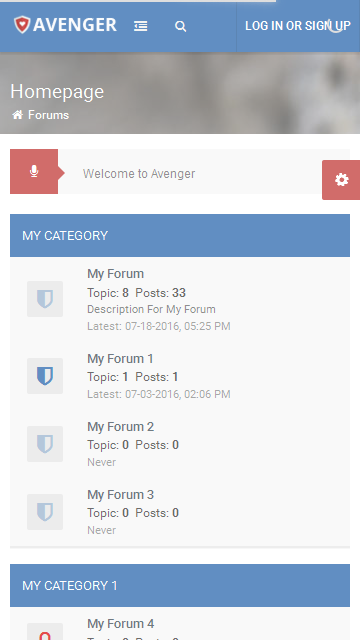 Built on the structure of MyBB, fit all devices, mobile friendly. 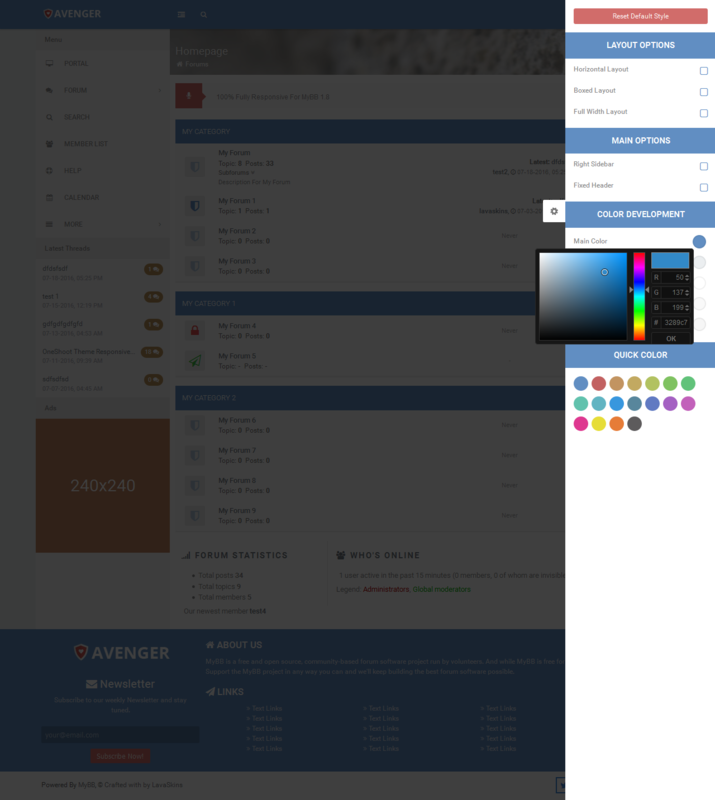 Specially designed interface flat, bright colors, many colors. 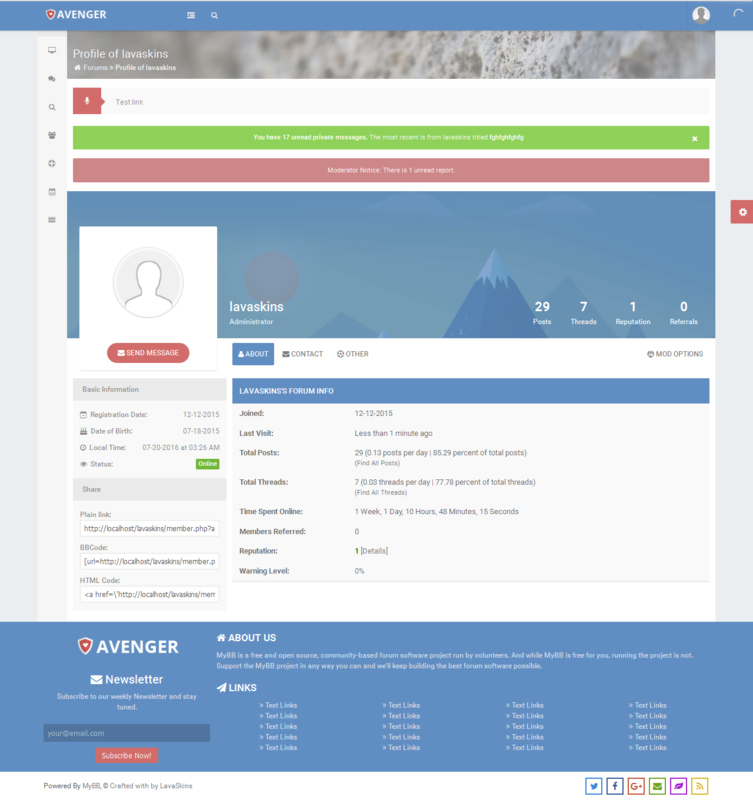 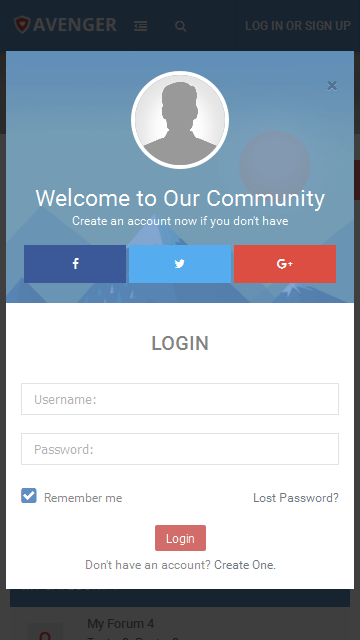 Price: 30 usd for the theme, and extra 30 usd to remove copyright. 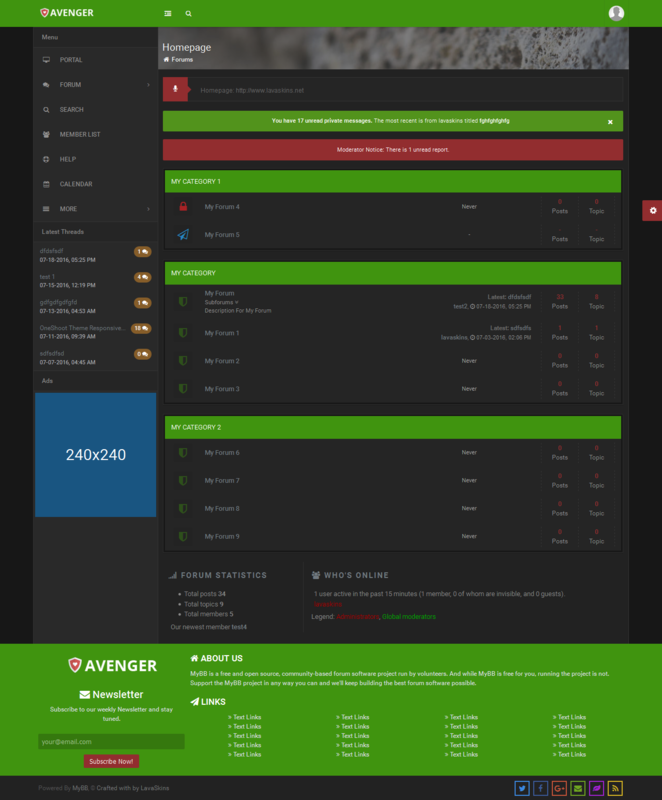 Current time: 24-04-2019, 01:43 PM Powered By MyBB, © 2002-2019 MyBB Group.